With the explosion of data from genome studies and molecular profiling technologies, huge amounts of biological information are now available. 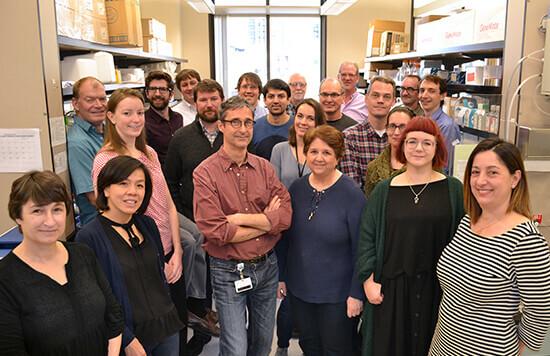 Scientists in the Systems Immunology Division use complex systems theory and high throughput techniques as well as mathematical and computational tools to understand the functioning of the immune system in health and disease. The Systems Immunology Division is developing ways to use simple blood tests to measure immune system profiles that predict individual's responses to immunotherapy for autoimmune disease or cancer. With these profiles, treatment for these diseases may be specifically tailored to each person. 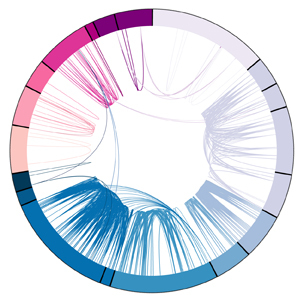 The BRI Bioinformatics Department consists of PhD computational biologists and biostatisticians, with access to a high-performance computing infrastructure and specialized software to support processing, analyzing and visualizing data from heterogeneous sources, including BRI and Virginia Mason laboratories. Our data management and software development team has created an extensive data infrastructure to provide our scientists with flexible acquisition and query-based access to research data. Our system is designed to link with advanced bioinformatics analysis, where the co-location of data and scalable computational power is essential. We are committed to free distribution of our datasets, and code. Upon publication, we deposit supporting data files into public repositories like FlowRepository and GEO. In many cases we share our application and analysis code via GitHub. Offers knowledge and data management services and general informatics services to different immunology research centers including BRI. Provides resources to BRI and external investigators for gene expression analysis, from sample processing through data generation. Currently available technologies include RNA-sequencing and high throughput real-time PCR.